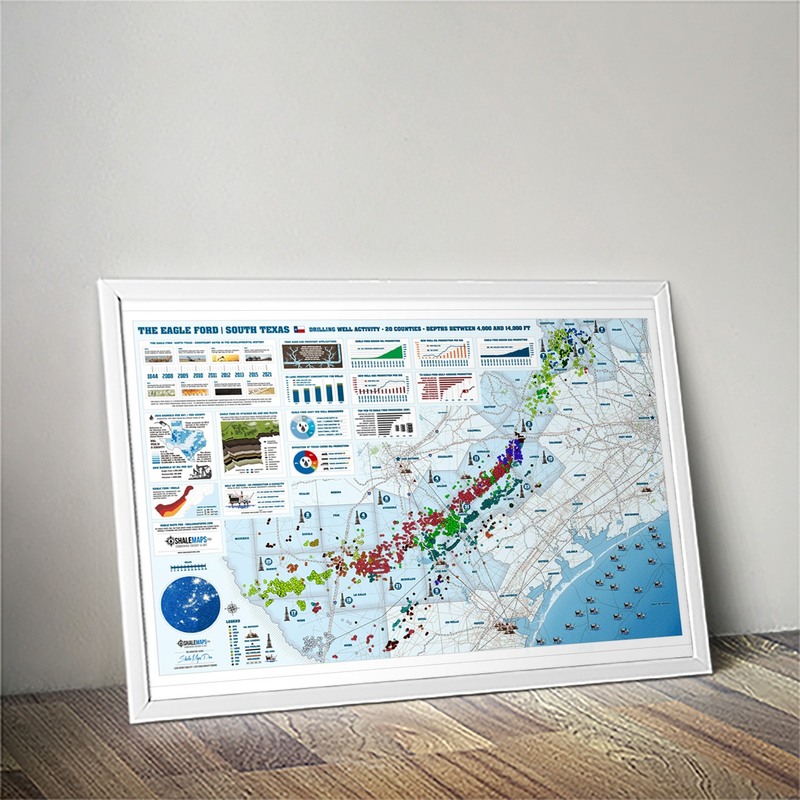 Our passion for data accurate, high-quality, high-resolution Shale Oil Maps (Canvas and Paper) are perfect for independent energy investors, clients, executives, business partners, and financial officers. 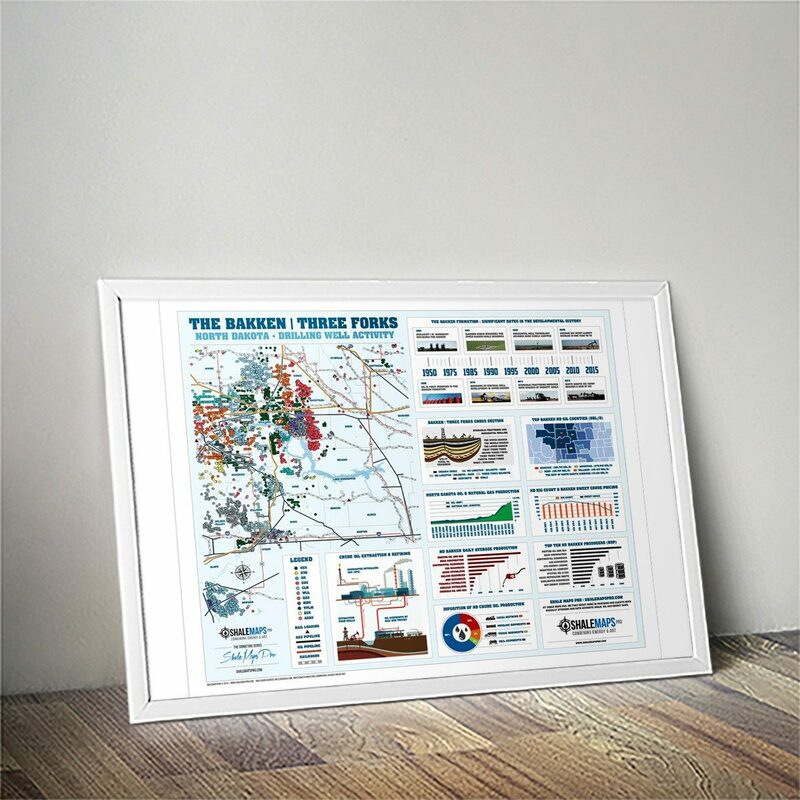 At Shale Maps Pro, we take great pride in providing our clients with visually stunning and data accurate Shale Oil Maps and Energy Maps. Our customers feel they are a work of art and an essential investment tool that you’ll be proud to display in your home or office. 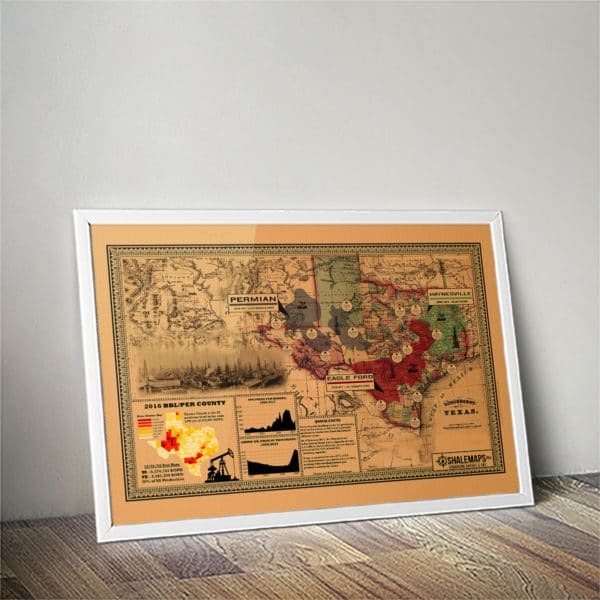 We use genuine OEM pigment inks to produce the highest quality Shale Oil Maps and Energy Maps. These bright, vivid, amazing colors will resist fading for over 100 years and help your Maps last for generations. We use kiln dried pine stretcher bars to ensure that the canvas print does not warp or bow over time. The design of the stretcher bars are rounded and beautifully beveled to allow minimal contact with the canvas. We do not cut corners by using pressed cardboard, plastic or particle wood We print on a museum quality, thick and luxurious poly-cotton blend canvas to provide greater durability. Our industrial grade canvas supports dazzling colors that are consistent and accurate across a wide gamut, is pH neutral and acid free and will not yellow over time. Get a FREE 432 decal and an instant 20% off your entire order! Use discount code "decal" at checkout. “Quality is spot on. 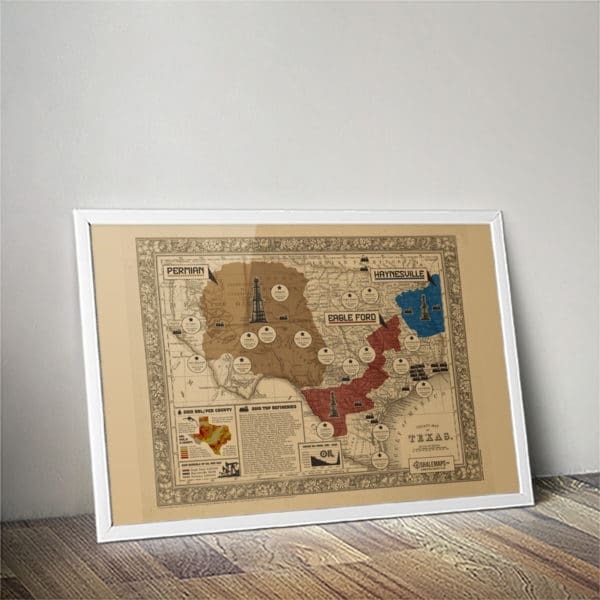 We ordered the boxed canvas TX Map and it is solid as a rock. Very unique and eye catching product. Thank you Shale Maps Pro.” Jesse G.